Ireland have been dealt another blow ahead of the upcoming Six Nations tournament after Ulster lock Iain Henderson has been declared unfit for opening game against England due to a finger injury. The 26-year-old sustained the blow during the recently concluded Heineken Champions Cup clash against Leicester Tigers at Welford Road and will be out of action for "several weeks" according to a statement released by Ulster. 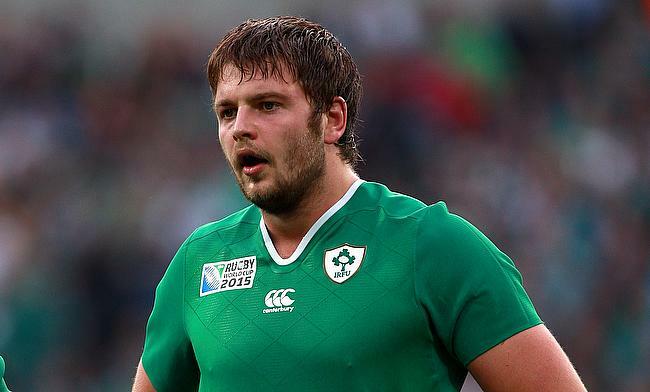 "Iain Henderson suffered a finger injury that is likely to keep him sidelined for several weeks," the statement read. "This fresh injury is unrelated to his recently injured thumb." Henderson has featured in 42 Tests for Ireland including eight for Joe Schmidt's side last year. This has been the second injury blow for Ireland this week after Munster lock Tadhg Beirne was ruled out for the first two rounds following a knee injury that he picked during the Champions Cup game against Exeter Chiefs.